When a child gets caught doing something they aren’t supposed to do they immediately say, “I’m sorry.” They either feel a little remorse or they just don’t want to get in deeper trouble. Most of the time, they don’t want to get in more trouble than they already are in. This is the most basic of human instincts: self-preservation. Lots of times, the two phrases get tangled or misconstrued. We are raised to believe that they are one-in-the-same, interchangeable if you will. But they aren’t. Actually, they can’t be further from it. 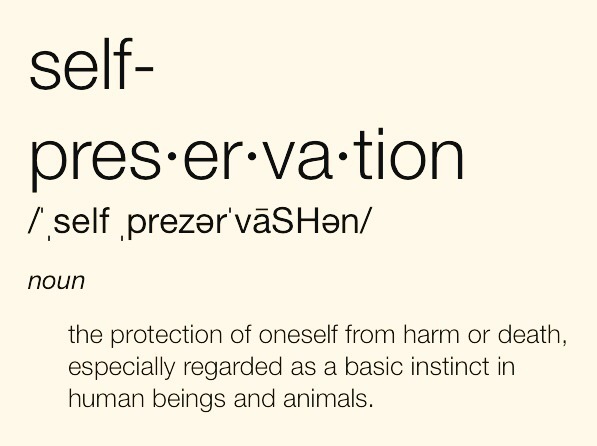 We’ve already established that self-preservation is a pretty basic human instinct, but, just for grins and giggles, let’s take a look at the definition. If any of you have lied at any time in your life, you know that this definition is true, especially when you saw your life flash before your eyes as the paddle swings towards your hindquarters. You knew it wouldn’t be as bad if you apologized or if you drug as many siblings down with you as possible. I digress. 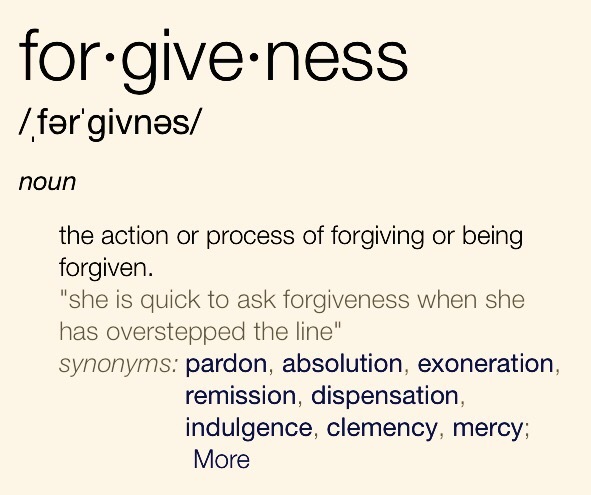 Now that’s a pretty good definition, but it’s a pretty good indicator why “I’m sorry” and “forgive me” are lumped together in the indistinguishable column. This is where we are going to start to separate the two. True forgiveness comes when one has a repentant heart. Meaning that they are truely remorseful for their actions. It’s not a knee jerk reaction to being caught, but a sincere, from the heart decision. Where does this logic come from? The Word of course! 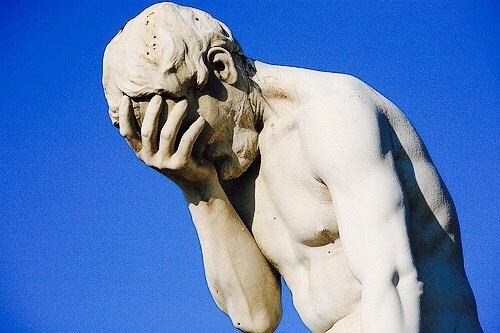 In 2 Corinthians 7:10 it says, “For godly grief produces a repentance that leads to salvation without regret, whereas worldly grief produces death.” Godly repentance will actually change things. A true repentant heart is necessary for one to achieve salvation through Christ. Well how do we know if we are truely repentant instead of just remorseful? Judas was remorseful for his betrayal of Jesus (Matt. 27:4.) Pharoah told Moses that he had sinned, but he just kept going forward with his actions (Ex. 9:27; 10:16.) But in Proverbs 28:13 it says that, “Whoever conceals his transgressions will not prosper, but he who confesses and forsakes them will obtain mercy.” That right there tells us that true forgiveness will follow true repentance. You can’t only drop a half truth on someone and expect that to be honored. We all have an obligation to seek forgiveness and to give forgiveness (Matt. 18:15) when we have wronged or have been wronged. But I believe, as in the same vein as salvation, to receive complete forgiveness, you have to come with an actual repentant heart. God will always forgive you and show grace (1 John 1:9) but you need to show a repentant heart, not just remorse for your actions. If in the end, you’ve done all of this. You’ve gone to God with a repentant heart and gone to those you have wronged with a repentant heart, the weight is now off of you and in their court. We’ve established that God will forgive you and cleanse you. People, on the other hand, will have a harder time with this. If they do what they have been instructed by God to do, you will be forgiven. But this doesn’t mean that things will just go back to normal. People are still…people. Trust has to be earned back and it may never go back to the olden days, but you can take heart that you have been forgiven. This may be a little heavy, but I know that there is a large group of people out there who need a little uplifting and guidance on this issue. Thanks for reading, y’all be safe out there.